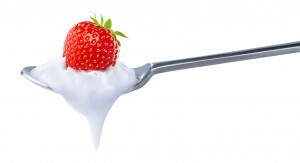 Probiotic yoghurts are popular mainly because they come labelled with claims that they are good for you. Whether this is true or not is the focus of a considerable number of studies that are ongoing at the moment. A small study, published yesterday, suggests that the impact of these yoghurt cultures on the composition of bacteria already present in our gut is negligible, they do not replace them, but that they might induce microbial activities involved in digestion. Let’s discuss. Max’s Note: Before I get into this rather complicated little story, I have to note that the research paper is behind a paywall at Science Translational Medicine. If you want to read it you will need to hand over $15 or find a friend with access. For that reason I am going to keep this fairly short and explain just the topline implications of the research. Ok, seen any issues yet? Let’s dissect this carefully. The major result indicates that the composition of gut microbiota does not change very much when probiotic bacteria are ingested but that their activity might be altered. That is a very interesting finding. The actual mechanisms by which probiotics affect health have actually remained a bit of a mystery for many years despite considerable research efforts. Various hypotheses exist (i.e. changing composition to a more “beneficial” mix, competitive inhibition of pathogens, modulation of innate immunity and the list go on). So, this result might add just that bit more to our understanding of the function of gut microbes and the properties of probiotics. Next, the design of the study is worth looking at in more detail as it could open the door to more significant discoveries later on. The authors report they used identical twins (in the test and control groups) which would remove confounding factors from the analysis such as human genetic variation. This makes the result more robust. Next, verifying the result in mice with identical genetic makeup and very defined microbial communities in their guts under tightly controlled laboratory conditions adds more weight to the evidence. Then, using some very advanced molecular approaches (variously described under the monikers of microbiomics and more specifically metatranscriptomics, should you care to know) to unravel what are very complex communities of bacteria and their metabolic pathways and come to the conclusion they have is an impressive technical achievement. The finding would have been very difficult to verify without these checks, controls and techniques. But, what of the result? What are the implications? Naturally there has been some caution towards the result, including from the lead author and other scientists and these all seem to be fair. The study is small and appears to have some technical limitations (given the comments of Dusko Ehrlich in Yong’s piece). What is interesting is the impact that this approach might have on future studies and on the perennial difficulty of manufacturers of probiotic products to prove their claims. Verifying effects seen in humans in animal models is on the face of it a bit backwards, but in this case it seems appropriate because of the super complexity of the systems involved. We can expect to see studies like this appear again in the future. It is interesting, but not surprising, that this work has been partly funded by Danone, who are one of the largest manufacturers of probiotic products. They would naturally have an interest in any new approaches or technologies that help boost the strength of evidence behind probiotic bacteria. What is unclear is whether such evidence and approaches will be sufficiently robust to meet the strict requirements of regulatory authorities such as EFSA (who have recently been very critical of the quality of evidence used to support probiotic claims in general). We will have to wait and see on that tricky little area.